Washoku, otherwise known as the food of Japan, is the collective term for the cuisine that originates from this island nation. 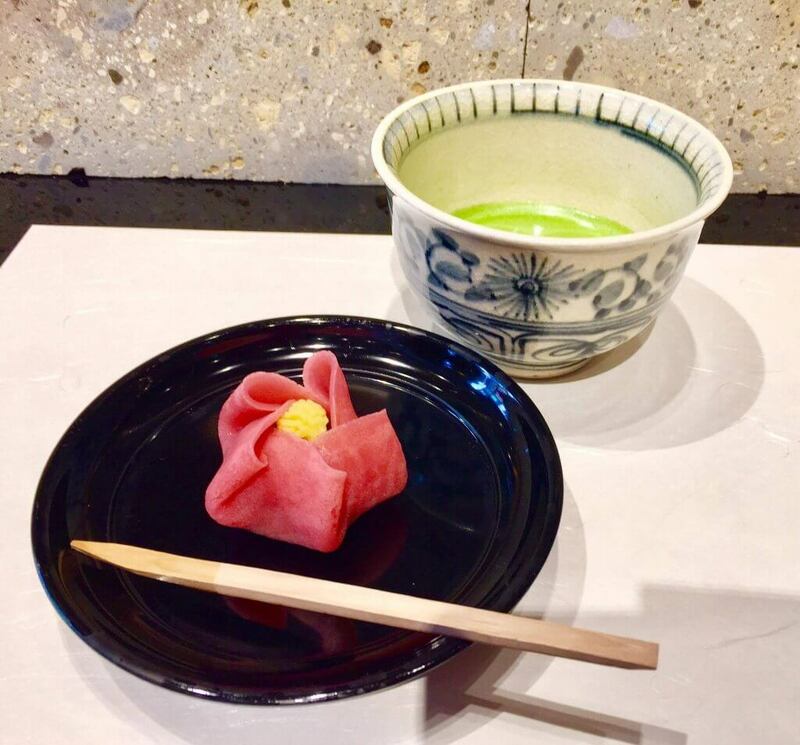 From the preparation to the presentation, this gastronomic experience is steeped in tradition and offers a surprisingly insightful introduction to Japanese culture and way of life. For its importance to Japanese cultural identity, Washoku was recognized as a UNESCO Intangible Cultural Heritage of Humanity in 2013. The Kanji for Washoku, 和食, translates literally to “Food of Japan,” ‘wa’ being Japan (also harmony) and ‘shoku’ being food or to eat. Wa is one of the most important values to Japanese culture. Washoku focuses on blending each ingredient harmoniously together to create a memorable experience. Washoku has deep roots in Japanese history, with cooking and serving techniques dating back over 400 years. While Washoku is extremely traditional, it is also flexible, varying from everyday essentials to multi-course holiday feasts. 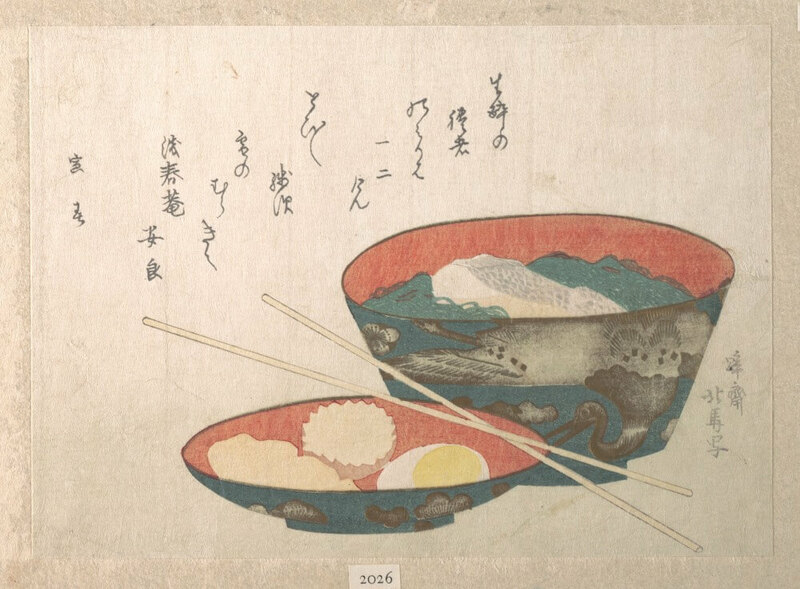 The term Washoku came into use during the Meiji period to distinguish Japanese food from the exotic foreign dishes being introduced to Japan from other countries. These new foreign dishes, or yoshoku, 洋食, incorporated Western and Asian influences, blending them with Japanese ingredients. Many of them are now commonly considered standard Japanese fare. Nowadays, a Japanese restaurant menu would be considered incomplete without tempura, omurice, or curry. Elements of a Washoku Meal While Washoku can be very flexible, almost all meals will come with three essentials: a bowl of steamed rice, a bowl of Konomono (Japanese pickles) and a bowl of Ju, or soup. The ju can be made from tofu, kelp, or vegetables, and flavored with miso or dried miso flakes. 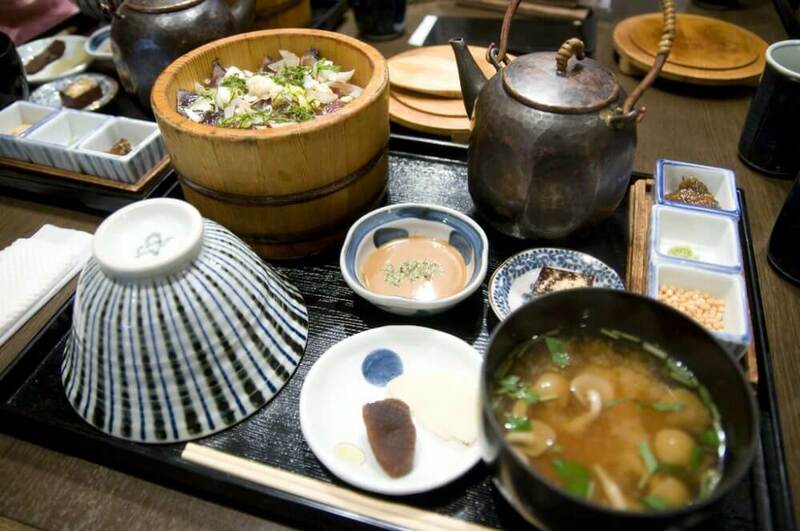 The backbone of traditional Washoku presentation is in Ichiju-sansai, or “one bowl, three dishes.” The three dishes can be almost infinite in their variety, but they will all complement each other. Ingredients are rich in history and tradition there is an emphasis on variety of ingredients in Washoku. Even one ingredient, such as tofu, can be prepared in such a myriad of ways as to give you endless variations within one dish. Both “fruit of the mountains” (山の幸) and “fruit of the sea” (海の幸) are important resources. Seaweed, kelp and fish are backbone ingredients in many dishes, as well as bamboo shoots and chestnuts. Generally, oil is only used lightly, except for tempura, and is usually sesame seed or rapeseed based. Deep frying was not introduced to Japan until the Meiji era. This lightness has given Japanese cuisine an international reputation for being healthy. A focus on Seasonality one of the most important characteristics of Washoku is seasonality. Each ingredient is celebrated for its peak season, or shun (旬) Respect for nature is a key aspect of Shintoism, the native religion of Japan. Washoku is a demonstration of Shinto beliefs. Presentation is key with Washoku, presentation is almost as important as the actual taste of the food. Great care is taken in decorating food in seasonal patterns. Bowls and plates are carefully chosen to best offset the shape and color of the food. Finish your plate It is expected that you will eat everything. Each ingredient is carefully selected and prepared to pair harmoniously with everything else. It is a faux pas to eat certain dishes and not others. Gochisousama! (ごちそうさまでした)Literally translates to “It has been a feast,” this is said at the end of the meal. Chisou at one point meant “to run around,” and it’s a respectful acknowledgement of the host’s hard work for your meal. Washoku is a wonderful introduction to Japanese culture, and a delicious education. No visit to Japan can be considered complete without it! Learn more about washoku on our “Flavors of Japan” food tour.